PM Modi said the surgical strikes were a big risk and that his biggest concern was the safety of the soldiers. 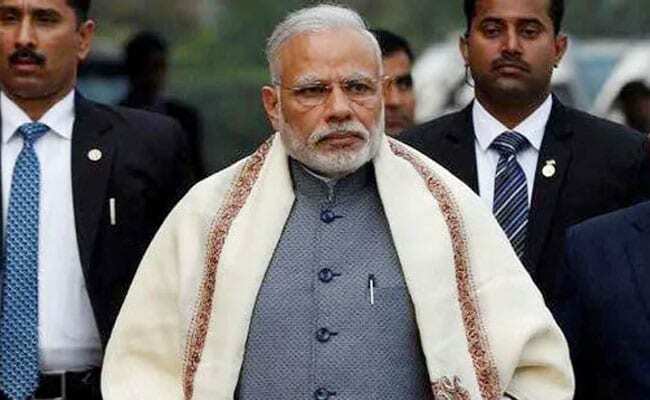 New Delhi: Prime Minister Narendra Modi in an interview with news agency ANI talked about a host of issues including demonetisation, the surgical strikes in 2016, the upcoming general elections, the Ram temple and former RBI chief Urijit Patel's resignation. He said the general elections next year will be a fight between the people and the Mahagathbandhan, the proposed anti-BJP alliance. He also made it clear that any decision on the Ram temple issue cannot be taken unless the judicial process is over. On RBI chief Urijit Patel's resignation, he said Mr Patel wanted to quit for the last few months. He said demonetisation was not a jolt for the people of the country. It (2019 general election) is going to be 'janta' versus 'gathbandhan'. Modi is just a manifestation of public love and blessings. We have said in our BJP manifesto that a solution would be found to this issue (Ram Temple in Ayodhya) under the ambit of the Constitution. Let the judicial process be over. After the judicial process is over, whatever will be our responsibility as the government, we are ready to make all efforts. I beseech the Congress, for the sake of national peace and amity, they should stop its lawyers from stalling this (Ayodhya issue) in the court. This (Demonetisation) wasn't a jhatka(jolt). We had warned people a year before, that if you have such wealth (black money),you can deposit it, pay penalties and you will be helped out. However, they thought Modi too would behave like others so very few came forward voluntarily. The family (Nehru-Gandhi family) that was once considered the first family of the country, have to walk around on bail, and that too on charges of financial misconduct - that is a big deal. A former finance minister has to go around courts today - that is a big deal. But it is not at all true that this is all because they oppose the BJP. Even people of the Congress say that Congress is an idea, it's a culture. So it has some resonance among the people. But what is their culture? It is jatiwad (casteism), parivarwad (nepotism), vanshvad (dynasty), corruption. My fight is against this culture. I say that even the Congress has to fight its own culture. He (Former RBI chief Urijit Patel) himself requested (to resign) on personal reasons. I am revealing for the first time, he was telling me about it for past 6-7 months before his resignation. He gave it even in writing. No question of political pressure. He did a good job as RBI Governor.No instance of violence (mob killings) is acceptable to us. Even one incident is condemnable. I gave clear orders that whether you (Soldiers) get success or failure, don't think about that but come back before sunrise. Don't fall for the lure and prolong it (the surgical strikes). I knew it (Surgical strikes) was a big risk. I never care about any political risk to me. The biggest consideration for me was the safety of our soldiers. It was necessary for Pakistan to speak like this (to deny), to keep their morale intact. But what Pakistan was saying, was being said here too. To lend weight to their views, they were citing Pakistani version. Politicisation started from that point. No instance of violence (mob killings) is acceptable to us. Even one incident is condemnable.